Andorra is a small Principality in the high Pyrenees Mountains on the border between France and Spain. With only a very small number of resorts, you may be wondering why virtually every school ski trip operator has Andorra in their portfolio. Go back to the early years of the twenty first century and Andorra's ski resorts were a very different place. Not high on many people's skiing wish list, the region had to attract the cheap end of the market with discount accommodation and its tax free status. Competitive prices put Andorra's ski resorts on the radar for school trip operators looking to keep the costs low for students. However, during the past ten years, Andorra has invested substantial sums into the main resorts and the place has been completely transformed. Prices have increase, but you can still get a great value trip compared to some other Alpine resorts, and ski school trip operators are more than happy to take school groups to Andorra knowing that you will have a memorable and enjoyable experience. 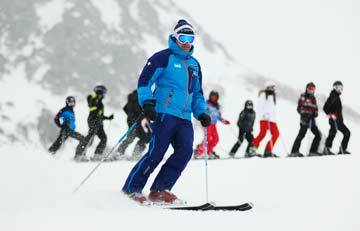 So what are the resorts and skiing like in Andorra for school groups? There are one or two other options, but nine times out of ten you will find that you are offered either Grandvalira or Vallnord. These two decent size ski areas offer plenty of variety for skiing and are very well suited for beginners and those who may have already been on skis before. The investment we mentioned included the lift systems which are modern and efficient. And the snowfall is pretty good for most of the season, and there are snow cannons to fill any gaps. The group lift pass is good value and will give you access to nursery slopes, freestyle parks, lifts and more pistes than you can possible manage on a weeks' school skiing trip. Andorra has a reputation as a bit of a party destination so there are plenty of off the piste daytime activities to keep your students entertained. For more information about Andorra, visit the association of Andorra's ski resorts website. 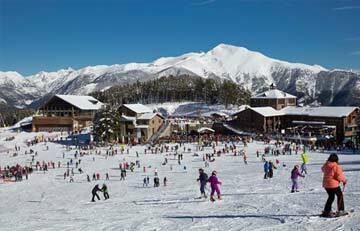 Get the best price for your school ski trip to Andorra! Allured by Andorra, but not too fussed about which resort? Tell us your basic requirements and we will gather the best prices from the ski operators who take school groups to Andorra. Vallnord ski area has benefited from significant investment and is likely to tick most if not all of the boxes on your school's wishlist for a ski trip.